Leinonen offers services that enable companies to successfully conduct international business. We handle all incorporation formalities and provide comprehensive support when our clients wish to conduct business establishment in Bulgaria.We are specialists in accounting who can handle any industry related questions and offer unique possibilities for outsourcing. Moreover, Leinonen takes care of payroll management issues and provides professional advice related to accounting and international business operations. Various administrative services are also a natural part of our service selection. 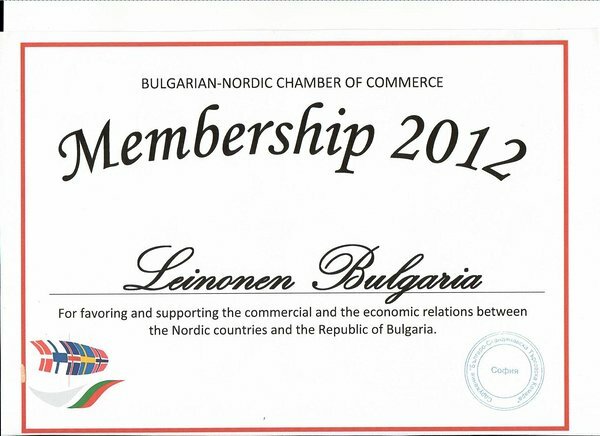 Leinonen Bulgaria serves mainly international customers of all sizes. 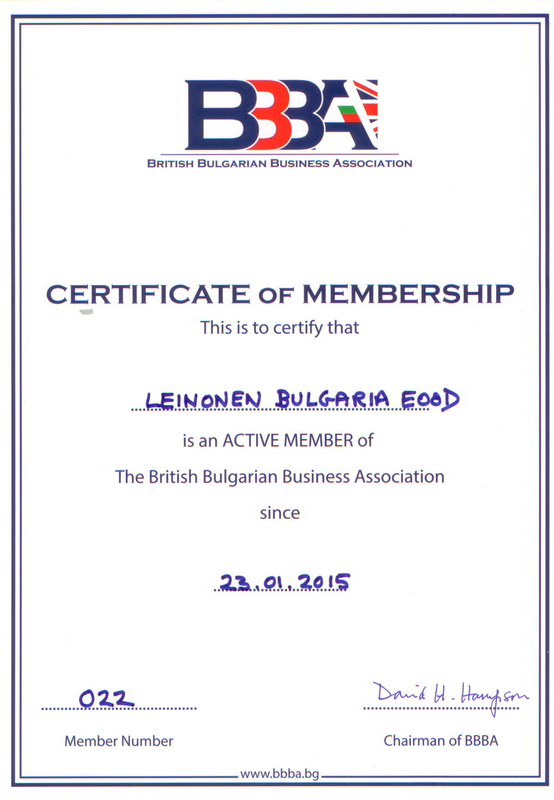 The Sofia Office belongs to the international accounting and advisory company Leinonen Group. Our service is customer oriented. This means that despite each company having its own needs, Leinonen always develops a service package uniquely tailored to the requirements of the customer. Our customers receive a professional and personal service in regard to all accountancy related questions. Our strength is our well-trained and experienced staff, whose aim it is to maintain mutually beneficial international customer relationships. 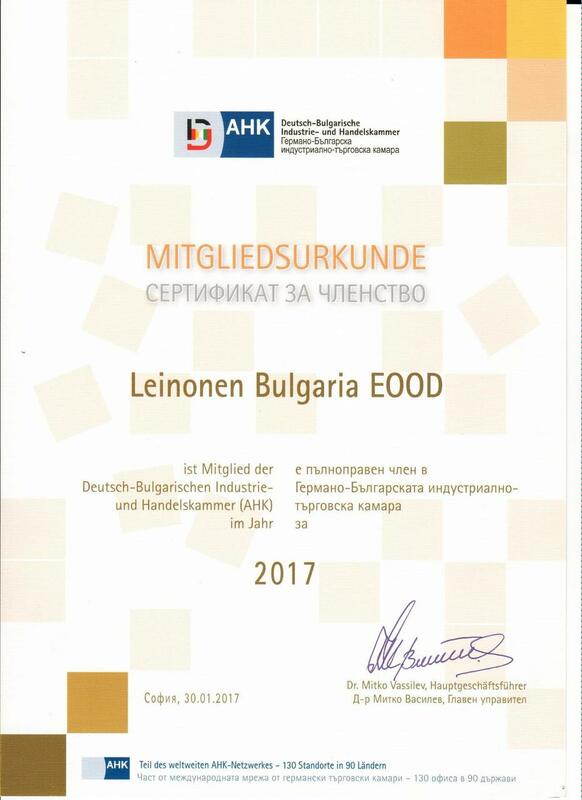 Leinonen Bulgaria has achieved ISO 9001:2008 certificate of quality by Bureau Veritas. This certificate assures high quality standards of accounting services and customer service that we are meeting in our activities. Focusing on the core business is important when operating in foreign markets. A very typical decision that companies make, regardless of the industry, is to outsource accounting and all related administrative work to a reliable partner. For a majority of international companies, this is simply a natural part of a successful and effective business. Outsourcing accounting services is not only popular due to its cost efficiency but also because of the better results and quality it guarantees. Moreover, having a trustworthy accountant is one of most valuable assets a company that requires full control and security over its business operations can have. Cooperating with us on your accountancy needs prevents you from making mistakes in accountancy related issues and allows you therefore to concentrate on your core business. We are always abreast of developments in the industry and working with us thus saves you time and energy. No employee sick leaves, holidays or maternity breaks. The problems expanding businesses experience in new markets are often related to cultural and business administration differences between countries. Although the common regulations in the European Union make the business environment in our service region more stable, the accounting standards, laws, rules and best management practices still vary greatly. All Leinonen offices are adapted to local business conditions and possess the latest knowledge of the industry. Our managers and accountants are familiar with a number of business cultures, international accounting standards and the local legislation, and are therefore able to help customers solve their problems. See the full international service region of Leinonen Group.